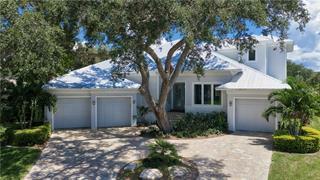 Listing courtesy of Gulf Coast Realty Team. 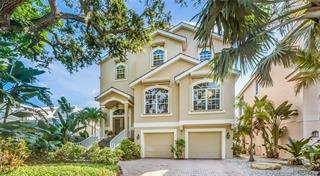 Ask a question about 1250 Hidden Harbor Way, or schedule a tour. 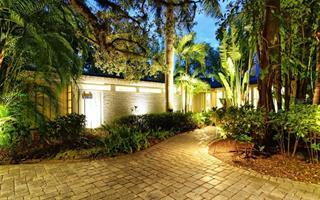 Luxurious and contemporary custom-built family home on a private half acre+ tip lot in Hidden Harbor. 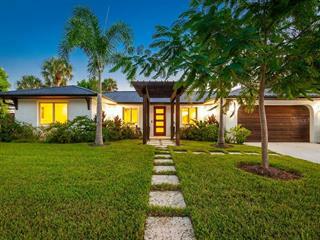 This lush, tropical, private upscale waterfront neighborhood consisting of only 36 exclusive residences is one of Siesta Key's and Sa... more.rasota's best kept secrets. 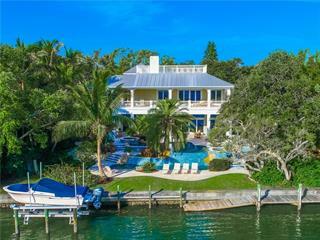 Surrounded by water views on 3 sides this one-of-a-kind coastal masterpiece features over 7500 Sq. ft. of inspirational living on the top two floors and thousands of sq. ft.of finished space on the ground level including an A.C. 600 sq.ft. fitness center and large covered patio. The main living level incorporates a spacious, open & airy floor plan w/ hardwood floors & water views from every room. The living room w/ high cathedral ceiling flows seamlessly to the dining areas, family room, main balcony and exquisite kitchen. The kitchen features 2 of every high end appliances needed for entertaining large groups or lots of family & friends. Additionally on the main floor is the large master suite and enormous master bath w/ his and her sides plus a two story office and loft next to the master. Just off of the family room is the theatre/media room which was also built as a safe room with poured concrete walls. the upstairs features a loft and media center, 4 en-suite bedrooms all with water views and as a bonus there is a private rooftop reading/yoga room with incredible water views. Additional features include; 4 balconies, elevator, Lutron lighting system, fire sprinklers, pool slide, dock w/ 2 lifts, 2nd. office, impact glass, custom wall & gate.